An engine air filter helps keep dirt and debris from entering the engine, which can cause overheating and lead to costly repairs. 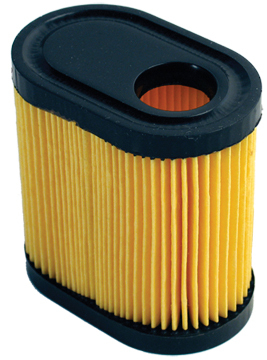 Replacing or cleaning your air filter every season or every 25 hours also improves fuel efficiency. Pleated, paper air filters must be replaced. Foam air filters can be cleaned with hot water and a small amount of detergent and then left to air dry before being saturated with new engine oil and reinstalled.